Easily serve a wide variety of tasty finger foods, freshly made sides, and signature snacks with this #300 3 Ib. white paper food tray. 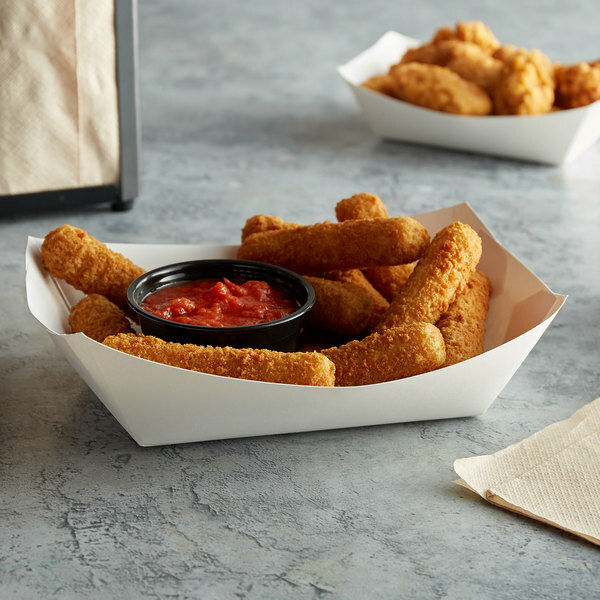 Versatile in both design and use, the tray is great for french fries, chicken tenders, mozzarella sticks, and other popular fried favorites, or with cold items such as veggies, fruit, and pasta salad. One-piece SBS paperboard construction ensures sturdy and reliable use, while the open top design allows users to effortlessly top off their tray with assorted sauces, dips, and condiments. Plus, traditional white coloring perfectly complements any setting. A clay coating on the inside of the tray offers a grease-resistant barrier, containing moisture, oil, and other elements, eliminating the need for a tray liner. For added convenience, these trays are easily disposable when your event has concluded, making them perfect for any concession stand or picnic. The white tray is what we serve our seafood and meat Gyoza in. Having various options for trays in serving correctly and helping our customers. Great for kids serving meals! Excited to used at our kids buffet for my son's upcoming wedding. Much better for kids than a plate that the food can slide off. 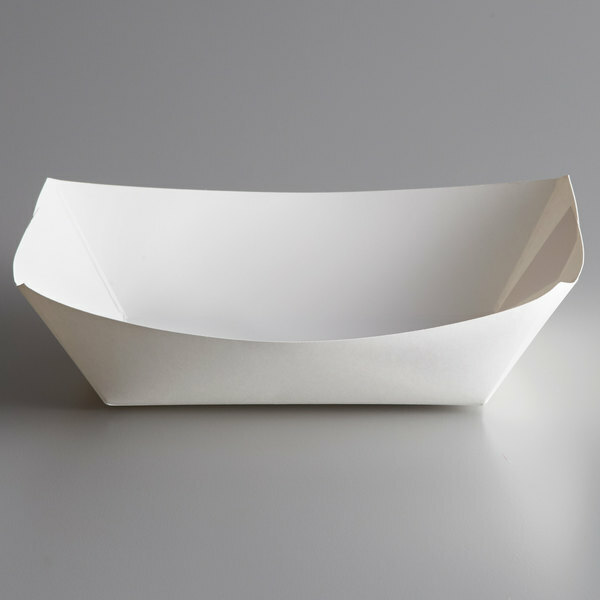 These paper food trays are ideal for French fries, hamburgers, or hot dogs. 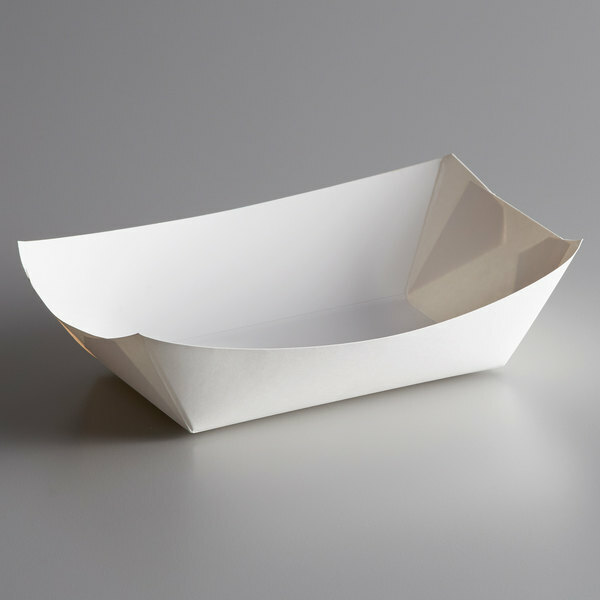 Sturdy paper is coated on the inside to prevent food from leaking through.